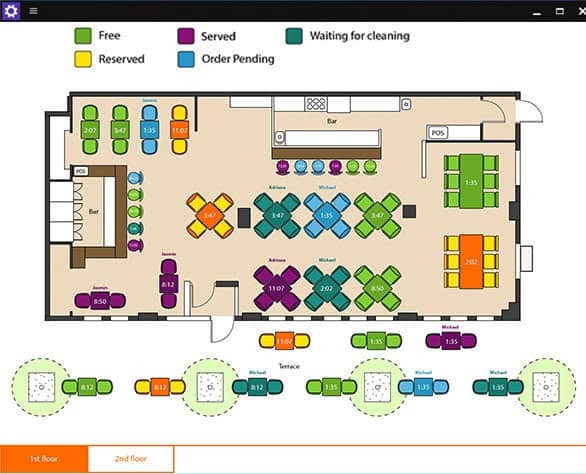 Uses a graphical representation of the table setup inside your restaurant including top table view at different restaurant zones (garden, bar, smokers, etc.). Each table is fitted with the occupancy and cleaning statuses, guest information, approx. waiting time and many more. Hosts and hostesses are able to arrange dates, times, names and save contact info for each reservation. The contact info, address, estimated time of arrival and more can be entered into the system for fast and easy delivery. Even take-away orders may be managed by Cizaro. All orders and sales can be traced back by date and hour with detailed information about the order number and value, employee, table, etc. 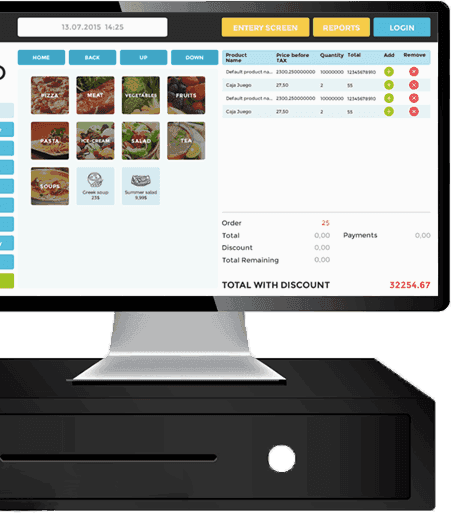 Kitchen staff can instantly see the orders registered by waiters in their Points of Sale.It also provides information back from the kitchen about order status and wait time to improve communication between crew members. Every order will generate a notification to be printed out at a designated printer (bar, kitchen, etc.). This is how staff members can keep up with all the orders – bartenders instantly have drink orders printed at the bar and cooks receive food notes in the kitchen. If waiters receive payments into their personal purses, this feature helps with the money count every few hours or at the end of their shift. string(50) "Everything you need for your business"